A former Russian spy living in Britain has been hospitalised after being exposed to a mystery substance – sparking suspicions over what or who is to blame. The prime theory is that it was an assassination attempt carried out on the orders of the Russian government. If true, it would not be the first time Russia has conducted assassinations on British soil. 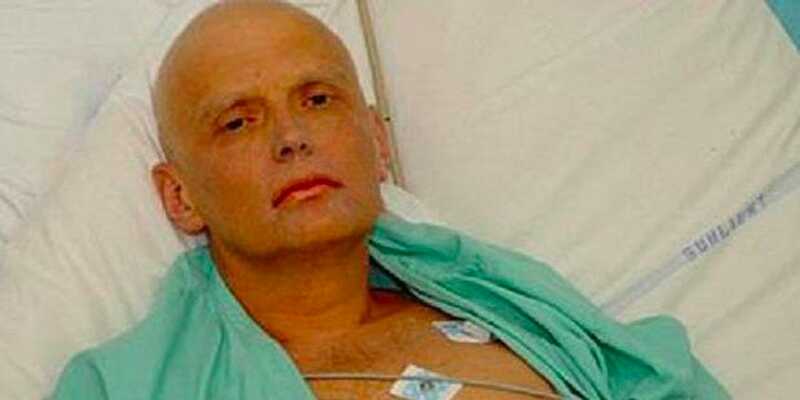 Most famously, former Russian spy Alexander Litvinenko died in 2006 after being poisoned with polonium. A public inquiry subsequently concluding that Putin personally approved his murder. And a BuzzFeed News investigation has previously identified 14 deaths in the UK that American intelligence agencies have linked to Russia. Here are the other times when Russia has been linked to deaths in Britain. Stephen Moss, 2003. Moss, a British lawyer, had an apparent heart attack and died in 2003. US intelligence officials allegedly believe he may have been assassinated. Stephen Curtis, 2004. Curtis, a lawyer who represented an imprisoned Russian oil tycoon, was killed in a helicopter in England in 2006. Again, US intelligence suspects that Russia may have played a hand in his death. Igor Ponomarev, 2006. Pnomarev died shortly before Litvintenko, right before he was due to meet with someone investigating Russian activities in Italy. US intelligence may have evidence that the diplomat was assassinated, BuzzFeed reported. Alexander Litvinenko, 2006. Litvinenko’s death made international headlines after the defector was poisoned in 2006. It contributed to hostile relations between Russia and the UK. Polonium, a radioactive element, was slipped into a cup of tea that he drank. Russia has always denied any part in his death, despite a public inquiry formally accusing two Russians of carrying out the killing on the behalf of Putin. Yuri Golubev, 2007. An oil tycoon and friend to jailed political dissident Mikhail Khodorkovsky, Golubv died in 2006 in London. An obituary at the time said he “felt unwell,” returned from a trip early, and subsequently “died peacefully,” though US intelligence suspects foul play. Daniel McGrory, 2007. McGrory was a foreign correspondent for the British newspaper The Times and was found dead at his North London flat. He had reported extensively on Alexander Litvinenko’s death. While his family believe he died of natural causes, British intelligence officials later asked US counterparts to investigate his death. Badri Patarkatsishvili, 2008. The best friend and former business partner of Boris Berezovsky, Patarkatsishvili lived close to his friend in Surrey until he died of a heart attack after a family dinner. British intelligence officials asked their counterparts in the US for information about Patarkatsishvili’s death, and any possible links to Russia. Gareth Williams, 2010. The body of Williams, a British spy, was found in a bag in his apartment in 2010. While police have said they think it was an accident, intelligence agencies allegedly believe he may have been assassinated. Paul Castle, 2010. A property dealer with flamboyant spending habits, Castle died by suicide after stepping in front of a tube train. BuzzFeed reported that he may have been threatened with a slow and painful death by people linked to the Russian (and Turkish) mafia if he didn’t kill himself. Alexander Perepilichnyy, 2012.Perepilichnyy was a financier who helped expose fraud by Russian government officials. He died in Surrey in 2012 after visiting Paris, and BuzzFeed News reported that there were “signs of a fatal plant poison” discovered in his stomach. Robbie Curtis, 2012. Curtis was a friend of Castle, and, like him, worked in property. He too killed himself, with US intelligence reportedly believing he may have been driven to suicide by Russia. Boris Berezovsky, 2013. Berezovsky was an expat businessman and critic of Putin. He was found dead at his home in an apparent suicide by hanging. Johnny Elichaoff, 2014. Elichaoff was a businessman and the former husband of TV presenter Trinny Woodall. He had battled painkiller addiction, and reportedly rolled himself off a shopping centre roof after a string of oil investments went wrong. Scot Young, 2014. Young was a wealthy “fixer” to the super-rich and often fronted deals for Russian oligarch Boris Berezovsky. He was part of a network of associates who funneled Berezovsky’s cash through offshore companies, and repeatedly worried about being targeted by the Russian mafia. He was found impaled on the railings beneath a London flat. Matthew Puncher, 2016. Puncher was the radiation expert who discovered that Russian spy Alexander Litvinenko had been given toxic polonium. Five months after a trip to Russia, he was found dead by multiple stab wounds. A coroner ruled suicide. In the US, meanwhile, there was Mikhail Lesin, 2015. Lesin, a former adviser to Putin and founder of propaganda network Russia Today, was found dead in Washington DC in 2012. US authorities have said his death was the result of a drunken fall, but some FBI agents reportedly believe he was beaten to death.